You could argue that, so far, there have been two stages of commercial justification for asset management systems in broadcasting. First, it was a necessary evil: if broadcasters, production companies and other media organizations wanted to store content as filesat least some of the timethey needed a means of finding it again. Once broadcasters had a comprehensive index to all of their content, and could find clips and programs again quickly, there existed the potential to earn new revenues from them, ushering in the second stage. Video and audio recordings are among the principal business assets of broadcasters and production companies, and making the best use of those assets, by re-using them whenever possible, is simply good commercial sense. Were now facing a third era, one thats being driven by a number of external factors. The first of these is the accelerated digitization of media assets. Broadcasters are creating more content than ever. Reality shows and large fixed-rig documentaries can have shooting ratios of as much as 400:1. This is in part possible because consumer cameras now deliver very high-quality outputs. The negligible price of GoPro and similar cameras means production teams can put in extra cameras just in case they capture something interestingcreating more content to log, store and process. At the same time as trying to handle vast amounts of content, broadcasters are also faced with relentless pressure for operational efficiencies. In part this is because budgets remain tight, but broadcasters also have to achieve more with the content. Not only are there hundreds of broadcast channels to fill, there are now thousands of online platforms to be served. As audiences become more sophisticated in their use of online and mobile devices, they expect real differentiation in what theyre served. Its no longer good enough to simply transcode a program for the mobile phone or tablet; consumers look to mobile devices for additional content, and producers and broadcasters look to them to provide an immersive experience to retain and engage the audience. The final layer of complexity is that audiences expect everything instantly, leaving broadcasters no time to deal with all of this. Content cant be processed in a step-by-step, linear fashion. Acquisition, logging and editing have to happen in parallel. In short, broadcasters have masses of content arriving in a vast number of formats, which all needs to be managed, processed and delivered to an even greater number of delivery platforms. And at the same time they need to minimize the overhead of content management so that time can be devoted, as much as possible, to creating great programs. The answer is to take an enterprise view of the content, its metadata and the workflows that use it. 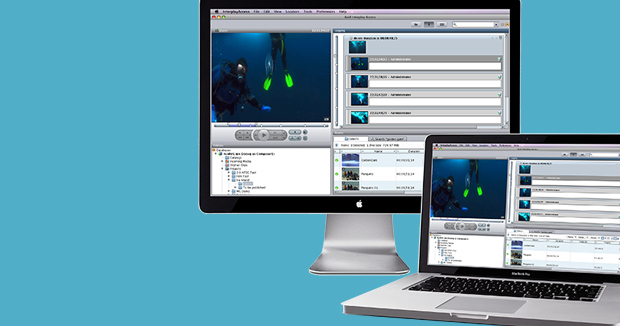 Core media operations ingest, transcoding and mastering, logging and editing, library and archive management and distribution are common to all workflows. Theyre also common to all levels of a business: the team, the department and the enterprise. If media asset management sits at the enterprise level, it can still orchestrate workflows for individual teams, but it has the benefit of scale to provide the functionality and the capacity needed across departments and the whole enterprise. This inevitably leads to a new definition of media asset management. Where once it was simply a means of storing and recalling content, now it sits at the center of the action. Workflows whether theyre automated or dependent upon craft skills involve moving content and its metadata. So workflow orchestration and asset management are intimately linked. Such a media asset management system is an enabler. It links the key processes, like editing and logging, and it sets routes through technical operations, like transcoding. So the system needs to be open to allow best-in-class tools to be connected. By implementing a media asset management system with the enterprise in mind, broadcasters can ensure that content is swiftly processed, moved and protected across multiple tiers of storage, covering the entire lifecyclefrom ingest to re-use and archiving. One of the key talking points at NAB this year was the changing nature of broadcast infrastructure. Its clear that we will rapidly move to service-oriented architectures where all content is handled as files. Its the only way broadcasters will be able to deliver against the real challenges of more, better, higher quality content. And it requires tight partnerships across the industry to deliver the seamless workflows that will optimize the production, re-use and archiving of content.